For megatrends we mean a change in behavior or attitudes, which has a global impact and involves different industries. In a rapidly changing economic ecosystem, understanding why an industry is evolving to a particular structure is difficult, but to predict, with a certain approximation, how the future evolution of the sector in which it operates is complicated. Megatrends analysis is a tool that can help companies respond to the challenge of understanding the direction of future market evolution. The analysis is fundamental for all those companies that want to be proactive, as it allows to build a long-term strategy that will allow it to anticipate the market and offer the right product at the right time. Identifying megatrends is not easy, because it is necessary to separate long-term trends, with fads, which although significant are transient, this is not at all simple. Conquering market shares and expanding the consumer base, these are the goals of a market-oriented company, particularly in the cosmetics sector, so understanding and meeting consumer needs is crucial. After the 2008 economic crisis, consumers reevaluated their priorities and focused on achieving a better life, in which experience counts more than possession. The technology has changed consumers’ buying behaviors, introducing new ones, allowing to share opinions on products and compare one another, compare prices and find the best offers with a click. In an environment where information is available to users, being able to have a privileged view on behavior and on the motivations of purchase determines a competitive advantage. To determine a megatrend is, first of all, it is necessary to identify the drivers of change that will determine the new behaviors and attitudes of consumers in the long term. In a recent analysis, Euromonitor International identified five drivers that will bring about a substantial change in the economic environment. The first driver is the shift in economic power brought about by the increase in the weight of emerging markets in economic exchanges. This change in economic power manifested itself clearly in 2008, that year emerging markets outperformed developed countries in their contribution to world GDP, in PPP terms. This trend will continue and by 2030 the emerging economies will contribute two-thirds to the world economy. China and India, despite having the largest populations in the world, will continue to increase their productivity, we will see a profound restructuring of the global economy, by 2030 non-OECD countries will account for 57% of world GDP. The increase in the economy will determine the emergence of a new middle class with significant purchasing power, two thirds of the population belonging to this class will reside in the Asia-Pacific area. As global economic power continues to shift to fast-growing economies, new patterns of trade and investment will emerge that will push businesses and governments to rethink both opportunities and risks. The change in economic power has brought many benefits, but they have also been associated with forms of economic loss, so the phenomenon is also used as a reason for strengthening forms of protectionism and nationalism, with potential negative consequences for businesses, individuals and the communities. Understanding the outlines of changes in economic power, operating in new markets and communities will become more important than ever for companies. A key role in consumer decision-making and in the ability of producers to meet consumer needs is determined by technology. Constant technological innovation and ever faster technological processes are a determining factor in analyzing future consumption patterns. The technological change caused by the acceleration, distribution and application of computing power through industry via the Internet, the cloud and mobile platforms has been called «the second era of the machine» and «the fourth industrial revolution». The impact of technology is broad, from artificial intelligence to machine learning to cloud and quantum computing, from autonomous drones and vehicles to augmented virtual reality, 3D/4D printing, robotics, connected devices and all ‘internet of things. Technological innovation also poses new challenges such as cybersecurity, privacy protection, increasing inequality and work automation. Information and communication technologies are expanding very rapidly all over the world. For example, access to the network is enormously from 1997 to 2009 (from 0.01% to 4.3% of the population in low-income countries, from 0.2% to 23.8% in middle-income countries; from 11.2% to 51.9% in high-income countries), while access to mobile phones has increased in the same period (from 0.05% to 28.9% in low-income countries, from 1% to 71% in middle income countries and from 17% to 96% to high income countries). The impact of this expansion is global, but the Asia-Pacific region registered more than half of the world’s internet users in 2016, this phenomenon is due to an expansion of mobile subscriber base. This resulted in coverage from a 3G network of more than 75% of the world’s population, while 86% of the population in developed economies had access to mobile internet. There has been a massive shift in production capacity from OECD members to the developing world, particularly to East Asia. The changes are also marked in the distribution of technological capacity, which is reflected in the increasing amount of research and development carried out in developing countries, an activity traditionally concentrated in Europe, Japan and the United States. Attracted by rapidly expanding markets and the availability of low-cost researchers and research facilities, world-leading multinationals have increased their research and development in middle-low income countries. There is talk of a new business model emerging from the developing world, which involves «frugal innovation» designing not only products but entire production processes to meet the needs of the poorest. A concern is the growing technological gap between those developing countries that are able to innovate and those that do not seem to be. Innovation is not automatic; countries that have been proactive in terms of implementing a national innovation strategy are generally more successful. The global population reached 7 billion in 2011 and will continue to grow, albeit at a decelerating rate, to reach a projected 9 billion in 2050. Deep changes in demographics produce evolving communities, with diverse business, social and individual challenges. Demographic change has different rhythms all over the world, a common denominator is that people live longer and generate fewer children, so people start to age. This fact has profound implications for the workforce, as fewer people will have to support more retired people. For every four people of working age per elderly person today, there will be only two people of working age for four elderly people by 2050. Demographic and social changes will see governments and businesses find huge opportunities and face huge challenges, such as the biggest generation in history, the millennials (born between 1980 and 1995) that will drive the economy. Millennials and those who come after them are, and will be, more educated and will have different expectations about opportunities, mobility, relationships and property. It is necessary to understand and address the changing needs in health care, retirement, flexible recruitment and to further encourage the entry of women into the workforce around the world, lifelong learning and the development of new skills in people’s work lives. The future is in the cities. Nowadays, more than half of the world’s population lives in cities and 85 percent of global GDP is generated in cities, with the 250 largest cities accounting for 57 percent of global GDP. Another 1.5 million people a week move to cities around the world, through a combination of migration and new births, with over 90% of future urbanization growth in African and Asian countries. Urbanization creates enormous opportunities for smart eco-cities, there are also significant challenges that derive from different types of urbanization: huge needs in terms of infrastructure and environment, service provision and job creation. Cities consume three quarters of the world’s natural resources. Just think that only New York, Beijing, Shanghai and London will need $ 8 trillion dollars in infrastructure investment over the next decade. Models of urban life and economic activity are also influenced by demographic change. Over 100 of the best cities are expected to decline over the next 10 years, partly due to an aging population in countries such as Germany, Italy, Japan, South Korea and China. The demographic expansion has also marked the growth of the demand for natural resources, which has grown along with the global GDP, consequently we have also witnessed the increase in the demand for electricity and the altering climate emissions. With the emergence of new technologies, the GDP-enegia ratio decoupled, thanks to the request for different raw materials. Many rare metals we have never used to become indispensable for sustainable clean energy, computers and mobile devices. The challenges raised can be addressed through innovation, new solutions and new industries, as well as initiatives. We must dare to imagine radically new solutions for a radically different future. The individual is becoming the center of the scene at the expense of the mass of people, a situation that has never before presented itself. Great technological advances, ubiquitous connectivity, improvements in access to education and health are empowering people around the world. Therefore, in addition to the factors of material change it is appropriate to take into consideration the ideological drivers, which help to create and shape the megatrends. Beliefs change and evolve at all levels of society and institutions, shaping priorities, perceptions, attitudes and motivations. Increasingly complex moral dimensions raise new questions about the responsibilities of organizations and the status of workers, as employees or self-employed. We need to understand, create and imagine new ways in which people have the power to organize and live their lives, create new businesses and workplaces and shape existing ones. 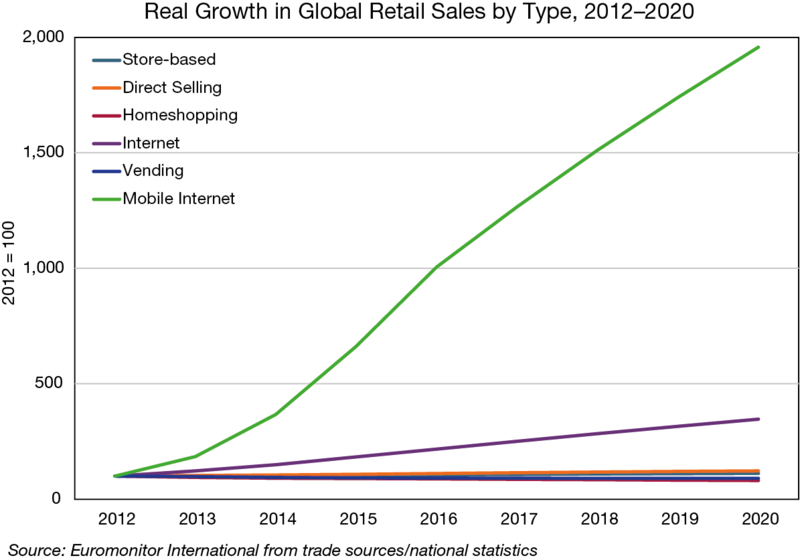 Megatrends are generated and modeled by drivers; they are a second-level phenomenon and an unstoppable force in the world, so we need to understand how these drivers influence consumer behavior and purchase decisions. Megatrends can vary over time and develop in different ways between different industries, but differ from the trend in the individual sector as they are common to several sectors and are a well-established phenomenon. A phenomenon, to be considered a megatrend must have an impact on most industries and its effects manifest themselves from 5 to 15 years. Therefore, a company should not stop to observe the phenomena in the short term in its market, but pay the utmost attention to all those signals that could pre-announce changes in the lifestyle of consumers, including those that seem insignificant. Recognizing current trends is vital, especially the one with the greatest impact on your business, as business strategies must take them into account. For example, the personal care industry is changing rapidly, we can define some trends that impact both on the producers and on the companies that supply the raw materials. In the first place the consumer has changed, he has become more aware, there is no longer the mythical figure of the consumer who buys exclusively in the retail store, attracted by advertising in magazines and by means of television commercials. By now, thanks to technological innovations, consumers exchange information, compare information, and are better informed about ingredients. This knowledge also leads them to doubt the claims made by the producers, either in advertising, packaging, web or informational materials. Consumers demand transparency from producers about their sourcing methods, products, ingredients and sustainability practices. The life cycle of products has considerably reduced, the replacement rate is very high thanks to the greater frequency of new launches on the market and the hyperspecialization of claims. In developed economies, manufacturers of personal care devices can no longer expect a constant price increase each year to grow. Today, the best growth factor is volume, which means that producers need to be more focused on margins, which require more stringent cost control for the ingredients that are affecting chemical companies along the supply chain. 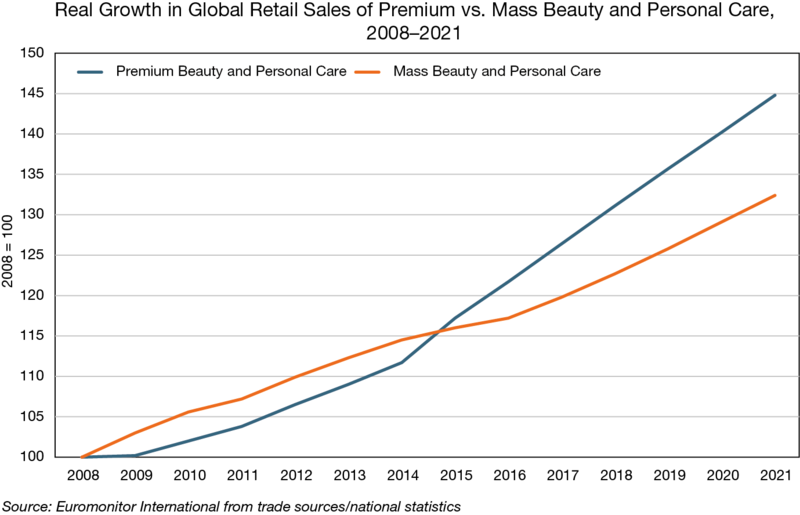 As we mentioned earlier, population dynamics is a key factor to be taken into account, the growing urban population, especially in developing countries, is helping to fuel growth in personal care products. 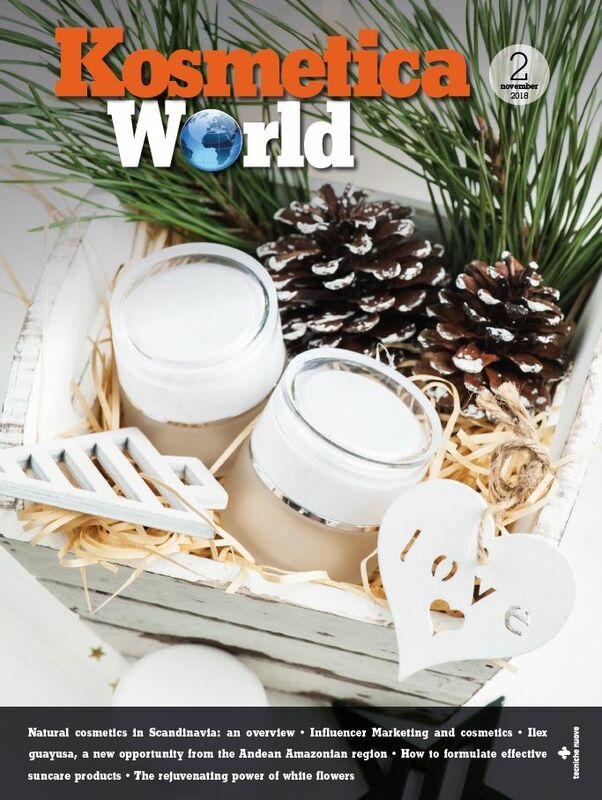 For the personal care industry growth in Asia Pacific constitutes a megatrend in itself, the region with 1 billion new consumers who buy a growing variety of products dominates the markets, this trend will continue in the coming years, new markets are emerging in Morocco, Indonesia, Pakistan, Vietnam. These countries have a relatively young population, a growing urban middle class and habits of refined beauty, all of which support constant sales. 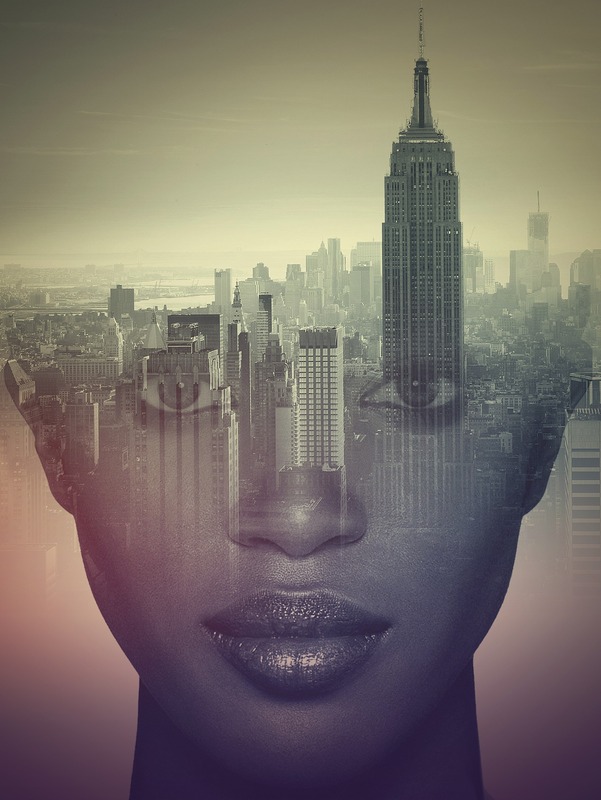 The growing awareness of personal well-being drives urban middle class consumers, along with the demand for gender-specific products, will support the skin care, cosmetics, fragrance and masculine markets. Emerging technologies and megatrends collide to overturn companies and society. Unlike other periods, in the history of humanity, in which significant changes have occurred, the fourth industrial revolution, or digital revolution, has no boundaries. Thanks to it, the B2C models used in the last thirty years have been replaced by platform based models. There is a growing expectation for the experience rather than consumption, personalization in everything that people do. Access to information anywhere, at any time, changes not only the way it is consumed, but also the way in which consumers interact with companies and the degree of influence they have on companies, their strategies, products and services. -OECD. Perspectives on Global Development 2010: Shifting Wealth. -Pratt M., Sarmiento O. L, Montes F., Ogilvie D., Bess H. M., Perez G. L., Brownson R. C. The implications of megatrends in information and communication technology and transportation for changes in global physical activity. Lancet. 2012 Jul 21; 380(9838): 282–293.